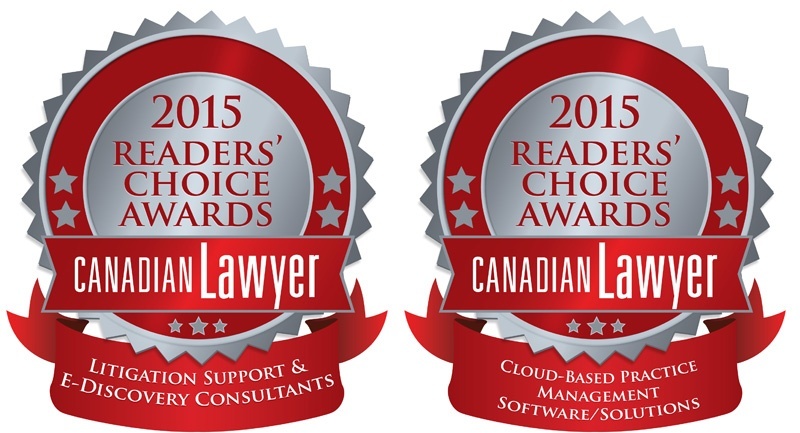 We are very proud to announce that we have once again been chosen in the Canadian Lawyer Readers’ Choice Awards as a Canadian favourite in the three categories of Cloud-Based Practice Management, Litigation Support & ediscovery Consultants and eDiscovery Software/Solutions. We are proud to present updated branding for Commonwealth Legal. As we continue to advance the integration of Commonwealth Legal and Ricoh Canada, our new logo is designed to complement and align with the Ricoh brand. The result is modern, sophisticated and demonstrates the scale of our combined organizations. In addition, we are excited to officially announce that our Toronto Head Office has moved! Now located in the heart of Toronto's downtown core, our modern new space is more accessible to you, our valued clients. While growing our presence locally, we are continuing to advance our technology offerings across Canada and the United States in order to service clients on a North American scale. TORONTO, ON, CANADA – October 5, 2015 – COMMONWEALTH LEGAL, a division of RICOH Canada, and leading provider of secure, cloud-based legal document management solutions, announced today that they have been chosen in the Canadian Lawyer Readers’ Choice Awards as a Canadian favourite in the two categories of Cloud-Based Practice Management and Litigation Support & Ediscovery Consultants.